Elevation gear replacement kit for Beseler 23C, 67CS, 67SC, 67SD, and 45V-XL enlargers, and the CS-20 copy stand. 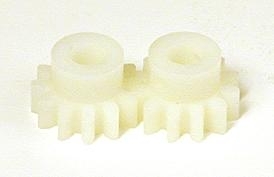 Kit includes two replacement gears and roll pins. Please add www.custserv@freestylephoto.biz to your address book to ensure delivery. Download our NEW 2019 Analog Catalog featuring the latest and greatest in analog photographic supplies! Sign up today to receive our FREE Guide to Inkjet Printing... An inspirational journey into the world of digital inkjet printing.